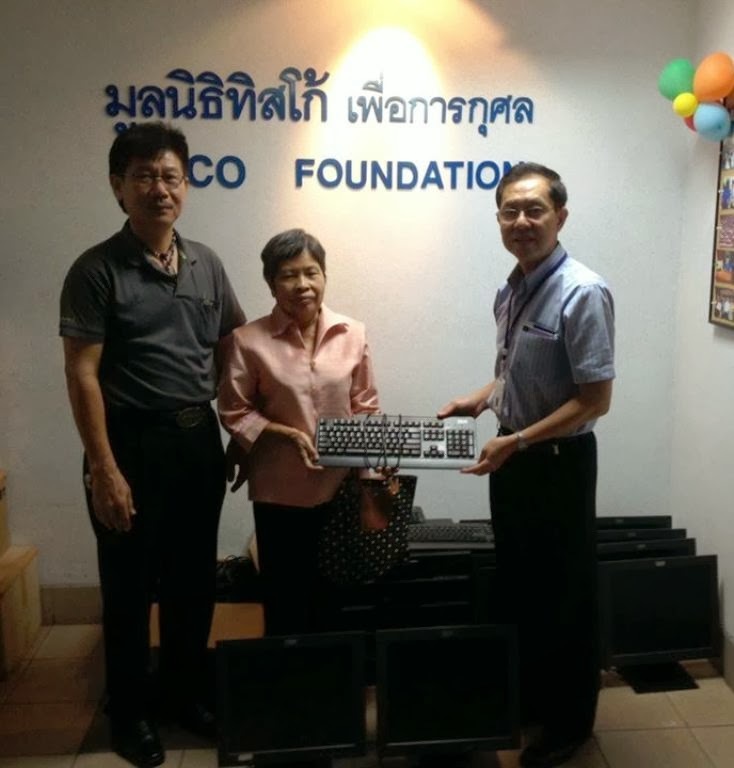 Khun Yongyuth Lewrojskul, Assistant Manager, Tisco Foundation has donated secondhand computers to the following school. Rungrojwitthaya school, Chachoengsao. 10 computers. Bandongmai school, Maehongson. 10 computers. Watsuwancosit school, Nakhonsrithammarat. 15 computers.